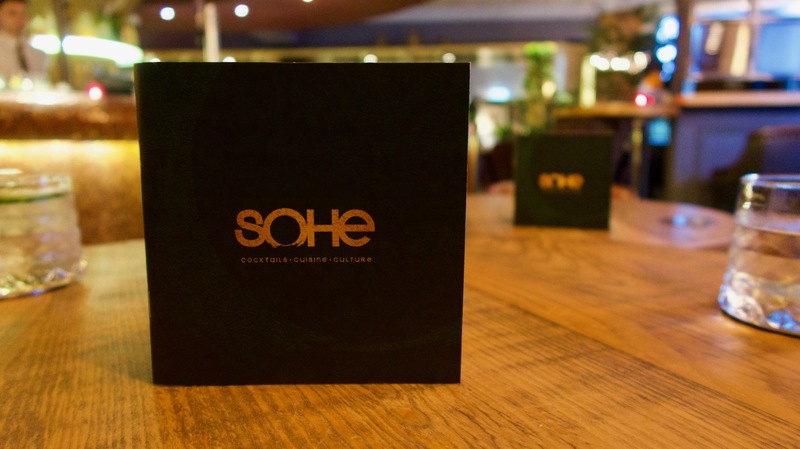 First of all, when you’re looking for where to eat in Newcastle, perhaps you’ve overlooked SoHe? Or similarly not even thought about Jesmond? Nestled at the end of Osbourne Road this cocktail bar and restaurant serves up a mix of dishes and cocktails from the Southern Hemisphere. Previously having sampled their new look menu when the addition of head chef Parichat arrived and in contrast sampling SoHe’s Asian Tea menu last year. Since then, the bar has consequently had a whole new renovation. With a botanical feel and fabulously luxurious prints from local interior designer Beth at Bobo1325. 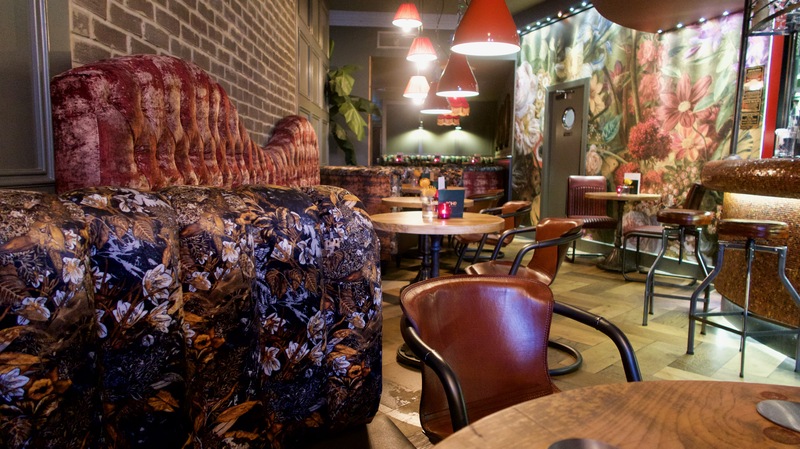 The cocktail lounge has been epically transformed above all into an even edgier opulent space to kick back after a hectic day. Even more for lunch cocktails or maybe for an intimate date. Moody lighting has been used to create a seriously chilled vibe. The interior design has completely transformed the feel of the cocktail lounge. Consequently, with the new design also comes the brand new in-house cocktails which have been specifically curated by the new bar team. Specialising in a small selection of 12 cocktails. 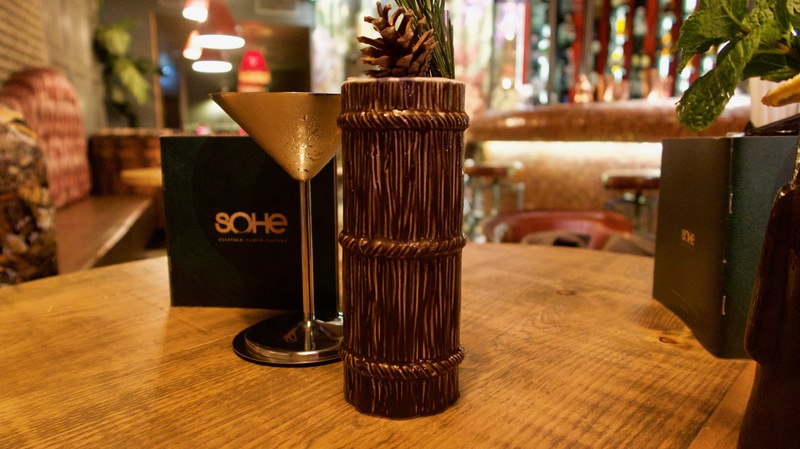 SoHe has consciously taken the decision to keep the menu compact so that they can really focus on perfecting each and every cocktail served. With a lot of the syrups made in-house and also some of the garnishes have been foraged locally from Jesmond Dene, it is evident to see just the amount of care that goes into each and every single element of each cocktail. They are all, also competitively and similarly priced to other Jesmond and Newcastle cocktail prices. First of all, the SoHe Gimlet (£7.50). Reminiscent of a dry Martini this perfect pre-dinner accompaniment uses a twist of Roku Gin, Sohe Cordial and Thai Basil Oil. The Sohe cordial is a citrus led cordial. Made from kaffir lime leaf, lemongrass and yuzu (an Asian Citrus Fruit) for a sharp, fresh flavour. Next up Thousand Cranes (£9), this light champagne cocktail pairs sweet fruity and floral notes and is served with your very own origami gold crane. Mixology; Chrysanthemum Infused Ketel One Vodka, Umeshu Plum Sake. Using Rose Syrup, Lemon Juice and Moet et Chandon Brut. If you’re not familiar with Sake, Japan’s most (in)famous alcohol. This Rice Wine is infused with Ume Plums. 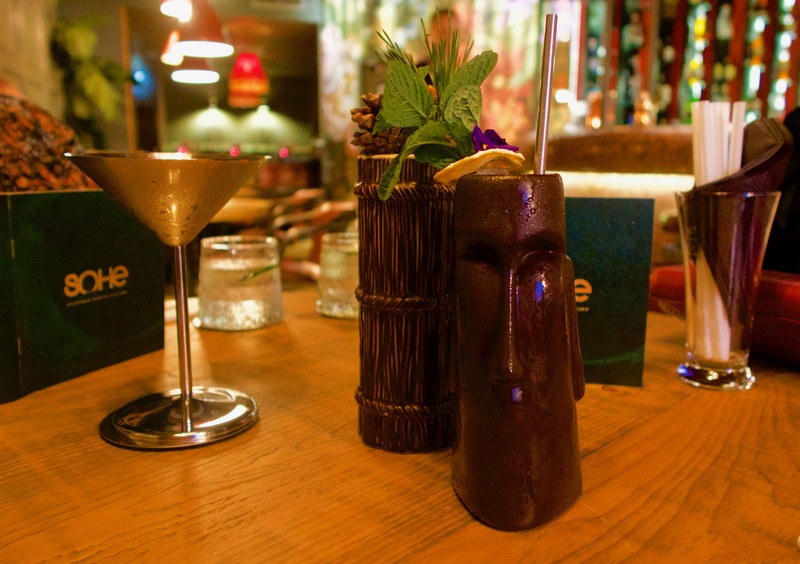 The best glass award goes to the Non Aku Aku (£8) which is a twist on the tiki classic with tropical fruit and rich Demerara rum. Using El Dorado 12-year-old Rum, Brugal Anejo Rum, Velvet Falernum, Papaya Jam. 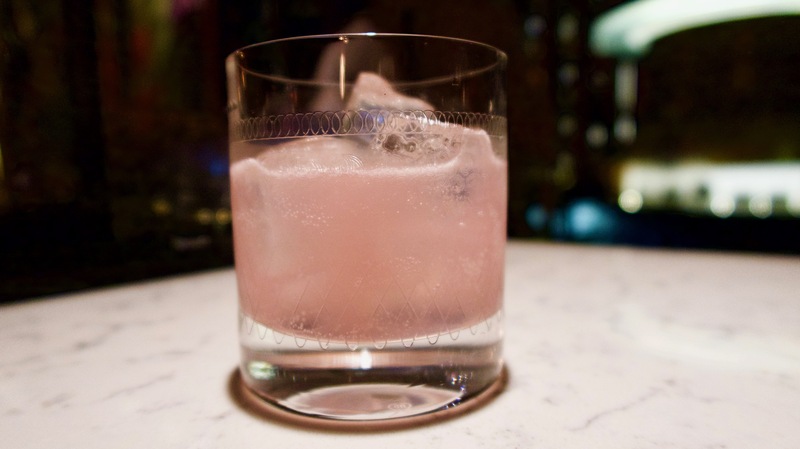 This is mixed with Lime & Grapefruit Juices, Gunpowder Tea Syrup and Angostura Bitters. If you’re a lover of a tropical punch then Manga Mango (£9) is the one for you. A mix of Tanqueray no.10 Gin, Courvoisier. 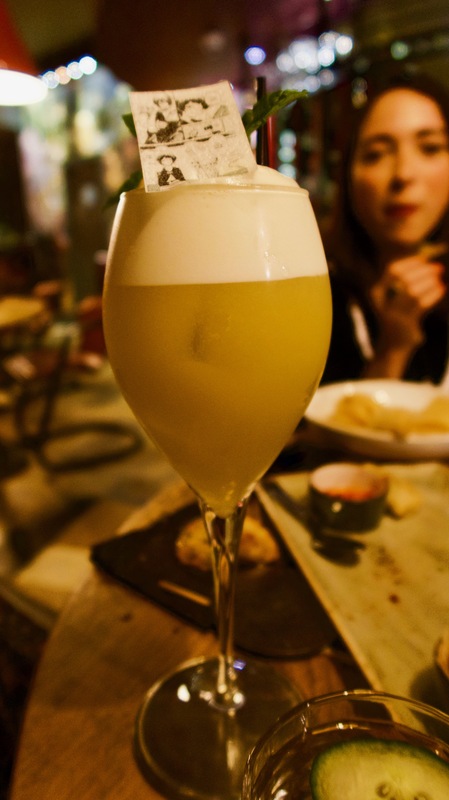 V.S.O.P Cognac, FAIR Kumquat Liqueur, Apricot and Chamomile Cordial with Egg White. The Apricot and Chamomile Cordial is an interesting twist. It is made by steeping chopped dried apricots in chamomile tea overnight with a touch of sugar. Destination Unknown (£8.50) will sure leave the gin lovers feeling like this after this super punchy mix. The Lakes Explorer Gin is teamed with Italics Bergamot Liqueur, Green Shiso and Pine Syrup, Lime Juice and finished with Fevertree Mediterranean Tonic. 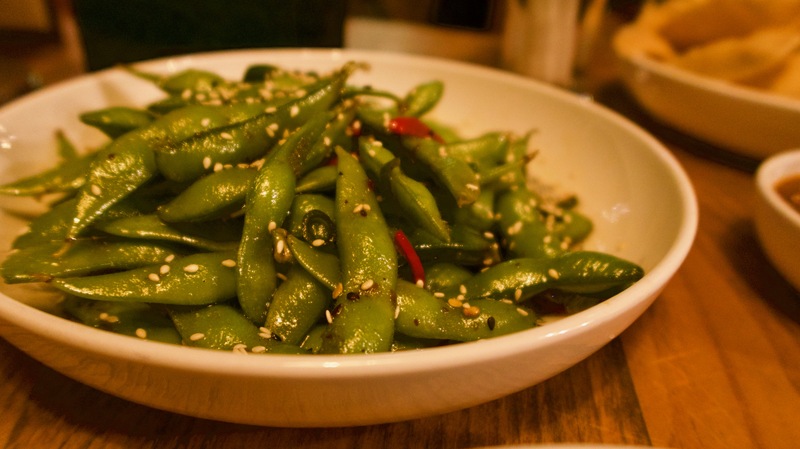 This is a clean herbaceous serve and with use of the Shisho, an Asian plant belonging to the mint family. This gives the cocktail a fresh yet earthy flavour. Finally, without a shadow of a doubt, my favourite was the Holiday Highball (£7.50). This multi-sensory experience uses popular flavours including pineapple and coconut to allow us to cling onto Summer 2018 just that little longer! Shaken; Suntory Chita Whiskey, Pineapple and Lemon Thyme Soda and finished with a spritz of Coconut Aroma around the glass. The Pineapple and Lemon Thyme Soda is made in-house. Using fresh pineapple and lemon thyme which are cold infused for 24 hours. Before being cooked down with sugar and a touch of citric acid. Finally, it is charged with CO2 to make soda. There are certainly a sprinkling of other extremely interesting cocktails on the menu. Which first of all I recommend you try out. The new look certainly, as a result, added an NYC kind of vibe to this interesting Pan-Asian fusion restaurant and cocktail lounge. The revamped cocktail menu and attention to detail certainly have my attention and have finally restored my faith after my last visit. 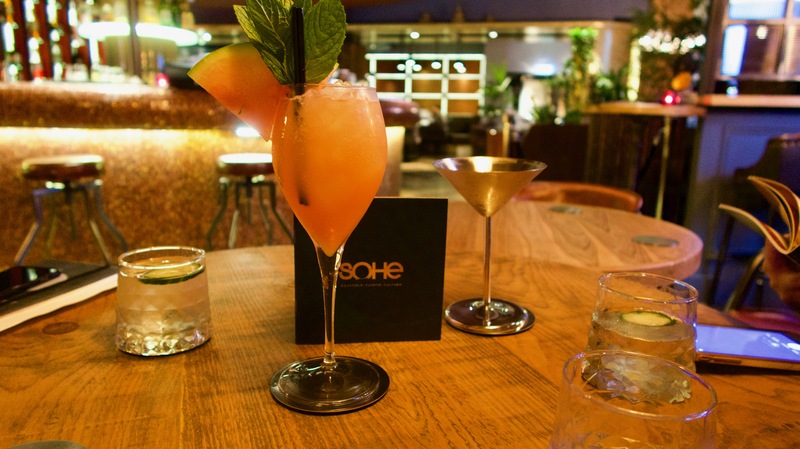 SoHe is a recommended drink spot to head to in Newcastle.